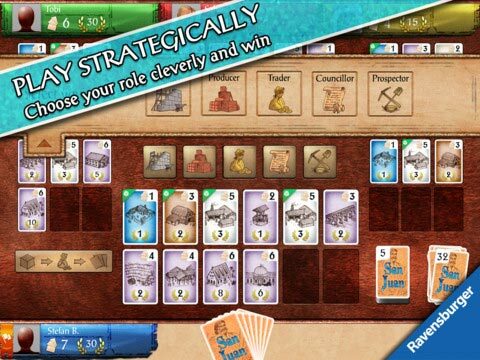 The exciting card game based on the award-winning board game Puerto Rico is finally available for your iDevice. Experience the Spanish colonisation once again with San Juan. 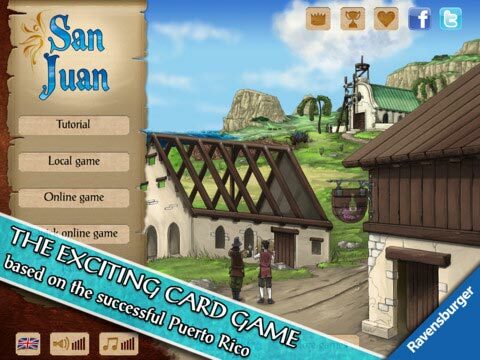 Digital adaptation of the card game based on Puerto Rico. Stand-alone game, can be played without having played Puerto Rico. Interactive tutorial to make San Juan easier to play. Full Retina support on iPhone and iPad. 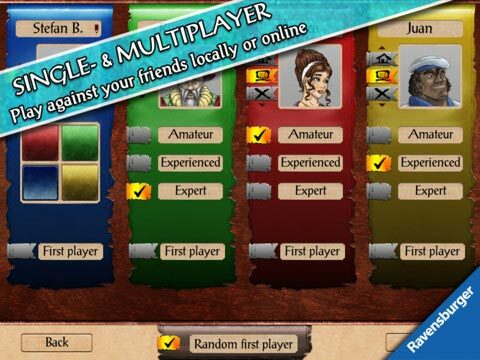 Play with up to three other players or computer opponents on one iDevice, or play online with players from all over the world via Game Center. Discover new tactics and ways to become the ruler of San Juan! No need to assemble: simply start the game to enter the colonial world! And best of all: no need to put away the game once you have finished playing. San Juan is the happy wild-child of Puerto Rico. It has a bit more luck, but it plays in like 1/3 the time of PR and is done before it overstay’s it welcome. So the first play select a role and everyone acts on it. Then the second player selects a role and everyone gets to act on it, and so on until the round is completed. The player the selects the role always gains an advantage related to the role. One a round is completed, the second player gets to select from all of the roles and the next round begins. Each go around is about building up enough cards to purchase the things that you need. The trick is that the game ends once someone has built 12 structures and the game is constant trade-off between quality and keeping up with the frenetic pace that the AI players seem to prefer. San Juan is as much about denial of advantage as it is about seeking an advantage. For instance, you might notice that you can sell a single good – and no one else has anything to sell. That might be a good time to gain a small card advantage. The Prospector role is the ultimate me-me-me role, but the card advantage can be comparatively small to other actions. In terms of interface and presentation, the Android version gets high marks for both. Watching cards being dealt about the table is a little overkillish, but it does help you maintain better knowledge about the real sequence of play. 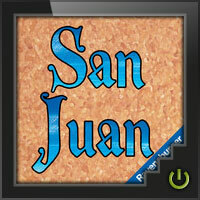 Add a Review for "San Juan"